Today, April 18, 1938, mark’s the 80th anniversary of Superman’s publication in Action Comics 1. The character launched an industry. Now at issue 1,000, Superman is still fighting for truth and justice. He lives on in comics, TV, movies, games and our imagination, reinterpreted and retold over and over. 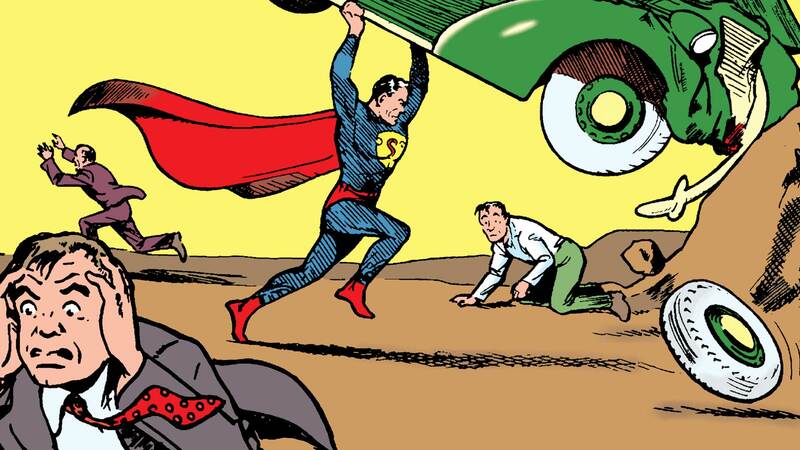 Superman holding a car aloft from the cover of Action Comics 1. Copyright DC Comics. Part of modern mythology, Superman wears on his chest on of the most recognized icons in the world. He represents an ideal, a source of hope and inspiration. With the powers of a modern god, he uses them not to dominate or destroy, but to protect and defend the people around him. I’ll send you off with this, The Myth of Superman: A good article on Wired, by Neil Gaiman and Adam Rogers.